Crime Stoppers encourages anyone with information about the cases featured below to submit a webtip. Nathaniel Christopher Ratliff, d.o.b. 03/08/1994, has been missing since 10/30/2016. He was last seen at his residence, 3709 S Park St in Kalamazoo, MI. Ratliff left behind his personal belongings, including his cell phone, wallet and vehicle keys. The circumstances surrounding Ratliff’s disappearance are suspicious. No family or friends have heard from or seen Ratliff since 10/30/2016. Multiple databases have been checked and it has been determined that Ratliff has not opened any new bank accounts, credit cards, passports or ID/Operator’s license in other states. Police are seeking the public`s help in locating a missing Kalamazoo woman. 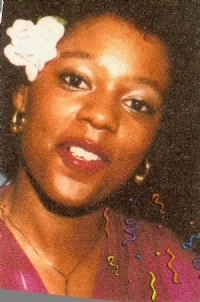 The disappearance of Renee Lynette Kyles, 53, is "a very suspicious missing-person case," said Capt. Jim Mallery of the Kalamazoo Department of Public Safety. Investigators have been trying to locate Kyles since Sept. 17, when relatives reported that she was missing. A family member reported that Kyles was last seen Sept. 8 at a residence on Southworth Terrace in Kalamazoo, police have said. Investigators found Kyles` car Sept. 19 in the 1900 block of Portage Street. Police described Kyles as a black female, 5 feet 3 inches tall and weighing 115 pounds. She usually wears a short, black wig. Anyone with information about Kyles is asked to call KDPS at (269) 337-8994 or Silent Observer at (269) 343-2100.